The government of Bangladesh has finalised the tariffs for leasing lands to investors in 17 economic zones across the country. Bangladesh Economic Zone Authority (BEZA), an attached agency of the Prime Minister’s Office (PMO), got the approval to the land tariffs in its recent fifth governing committee meeting with Prime Minister Sheikh Hasina in the chair. With the fixation of land tariffs, BEZA now can allocate land to the investors. Under the rate chart, the land tariffs will range between $0.80 and $0.27 per square foot per annum in three categories. The land tariff has been fixed at $0.80 per square feet for developed land and $0.40 for non-developed land for the economic zones under category ‘A’. The land tariff would be $0.70 per square feet for developed land and $0.35 for non-developed land in the economic zones under category ‘B’. In order to foster industrialisation in the country’s northern part, special tariffs have been set for the Nilphamari Economic Zone which falls under category ‘C’. The investors will pay only $0.54 for per square feet for developed land and $0.27 for per square feet non-developed land in the lone economic zone under category ‘C’. “As the land tariffs have been fixed, we can now start allocating land to the investors in 17 economic zones across the country,” BEZA Executive Chairman Paban Chowdhury said. Terming the move as a major step forward to establishing 100 economic zones in the country, the BEZA executive chairman also said they will observe the interest of investors during the next couple of months to assess the real scenario. A five-member committee convened by the senior secretary of the Finance Division was formed in August last year to set the land tariffs for the economic zones. In addition to the tariffs, The BEZA governing committee meeting also approved the service charge and regulatory permit fees for the economic zones. Of the 17 economic zones, six zones were included in category ‘A’. 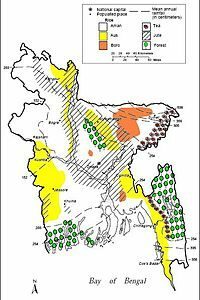 Those are Mirsharai Economic Zone, Feni Economic Zone, Srihatta Economic Zone, Dhaka Economic Zone, Araihazar-2 Economic Zone and Gazaria Economic Zone. 10 economic zones under category ‘B’ include the Cox’s Bazar Exclusive Economic Zone, Moheshkhali Economic Zone-1, Moheshkhali Economic Zone-2, Moheshkhali Economic Zone-3, Moheshkhali Special Economic Zone-4, Moheshkhali Exclusive Economic Zone, Moheshkhali Economic Zone, Sabrang Tourism Park, Naf Tourism Park and Mongla Economic Zone. Nilphamari Economic Zone has been kept in the category ‘C’. The validity of the lease contracts will be valid for 50 years. For category ‘A’ and ‘B’, the investors will have to pay five percent of the total lease price as security payment while it is three percent for the Nilphamari Economic Zone. “We have considered the Nilphamari Economic Zones especially and set lower rates so that the investors come up with their investment which will ultimately spur industrialisation in the northern region”, said Paban Chowdhury. The government has planned to set up a total of 100 special economic zones on 75,000 acres of land in different parts of the country by the year 2030 with a view to fetch $40 billion in foreign investment and create new jobs.